Pope Francis, what to expect from the next Synod? The new Pope Francis’ constitution that reformed the regulations of the Synod can be revealing of what to expect from the upcoming Synod of Bishops on young people. Released several days after the release of the lists of the members of the Synod, and while the media attempts of using the Synod to push for a soft reform of doctrine seems to have been set aside, the Constitution Episcopalis Communio on the one hand strengthens the power of the General Secretariat of the Synod and on the other hand reaffirms the centrality of the Pope, who remains the ultimate guarantor of every decision made. Though filled with widespread references to synodaliy and collegiality, the document gives the impression of a trend toward an always greater centralization. Not only are bishops mostly described as a sort of “megaphone” of the people of God that they have to represent —the Synod’s assembly becomes deliberative, because the final document, if approved by the Pope, can directly become Magisterium and part of the Papal documents. It is there, when the power seems to have shifted toward bishops and the faithful, that we are in front of a further centralization. To understand how things changed, one has to look back. Until the 2012 Synod, dedicated to the New Evangelization, Synods of Bishops were held according to Ordo Synodi. The regulation also foresaw the drafting of a document made of propositions as conclusions of the Synod. The text was drafted by a special commission, and it was likely that its members spoke to the Pope about the text. However, the text was then analyzed and voted by the Synod’s assembly. Each of the propositions was voted, and adopted only if it had two thirds of votes: this was called Synod consensus. The 2014 extraordinary Synod on family introduced the first novelties. Before, the summary of the Synod fathers’ speeches were released, and there was a whole structure linked to the Holy See Press Office that was totally dedicated to the Synod communications, and daily briefings on several languages were held. This method preserved the freedom of bishops to hold discussions, as the texts were delivered as summaries and nothing of the internal discussions was disclosed. The discussion was transparent, but also private. But in the 2014 Synod, these briefings were replaced by a daily briefing held by the Holy See Press Office, then headed by Fr. Federico Lombardi. Sometimes, there were guests. However, there was no possibility to see anything about the text discussed, in order, it was said, to “favor the freedom of the Synods’ fathers.” In fact, a breach was created, even among the media, as only journalists who were friends with bishops and had this special access could get news, and an even deeper knowledge of the Synod’s discussion. The final text was made of propositions, but Pope Francis wanted all of them, even the more controversial, to be published, and at the same time the votes gained by each proposition (for or against) were announced. It became then clear that there was no Synod consensus on propositions about homosexuality or unmarried couples, though, by entering the propositions in the final document, they became part of the instrumentum laboris of the following Synod on the family. The procedure further changed in the 2015 Synod. 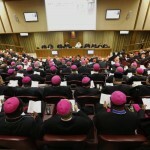 Despite concerns raised by several Synod fathers about the possible manipulation of the Synod, the final text was not divided into propositions. There was rather a final text, approved by a majority, intended to represent the whole assembly. Some of the most controversial issues were sidelined, pending Pope Francis’ post-Synod exhortation. The exhortation was then released, and it was Amoris Laetitia. The exhortation gave the impression of an ever open Synod, as it did not draw conclusions, but left things open for discernment. If interpreted in its entirety, as requested by Pope Francis, Amoris Laetitia can be considered part of the Church magisterium, since, although with a vague language, it could be interpreted according to the traditional teaching. However, the emphasis given to the issue of discernment, that came out of the notion of conscience that was the battlefield of the pre-Synod discussion, left room to several interpretations. Hence, the discussions among bishops and different interpretations flourished, and Pope Francis also came to play. The Amoris Laetitia interpretation by the Argentinian Bishops’ Conference was backed by Pope Francis with a letter then included among the Acta Apostolica Sedis. In the letter, Pope Francis approved the approach followed in the document, that was based on discernment and envisioned some doctrinal opening. That letter is now part of the pontifical magisterium. The 2018 Synod was born with the original sin of these two previous Synods. The new constitution has definitely institutionalized the approach of the pre-Synod activities, like questionnaires – that in fact were also delivered before, although with no fanfare – and even the pre-Synod gatherings, this year by young people. The final document of this 2018 pre-Synod showed, in fact, a certain will to steer attention to some issues, as questions posed to young people naturally led in a certain direction. The idea of a possible manipulation became concrete when the 2018 Synod working document was released. The document included the word LGBT, never used in a Vatican official document, as the Holy See always refused to describe people on the basis of their sexual orientation. Asked for an explanation, Cardinal Lorenzo Baldisseri, general secretary of the Synod, said that the working document followed the text of the pre-synod document, under the rationale of listening. However, the acronym LGBT was not in the pre-Synod final document. 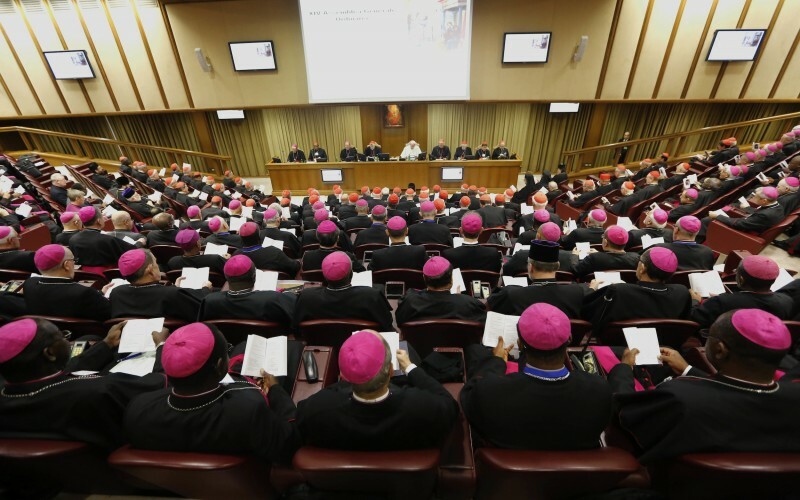 The discussion that continued to the doorsteps of the upcoming Synod was characterized by rumors about the possibility of using the Synod of Bishops as a tool to change the teaching on sexuality of Bl. Paul VI’s encyclical Humanae Vitae. There were rumors about a commission set up for that purpose. The commission then turned out to be a study group. Professor Gilfredo Marengo drafted the conclusions of the study, confirming that Bl. Paul VI did not act alone in issuing Humanae Vitae. He listened to a number of opinions that helped him in making the final decision. There is the suspicion that once the Humanae Vitae was off the table, in order to avoid any doctrinal debate, the Synod’s general secretariat proposed to set up regulations, that seem to be needed after more than 50 years without major revision. The Constitution Episcopalis communion is filled with mentions to collegiality and synodality. The same constitution institutionalize procedures that were already in effect, following the model – also valid for the Curia reform – of the reform made while walking. At the same time, the Constitution included the possibility of the Pope making the Synod’s final document, approved by “moral unanimity”, a magisterial text. Everything is then in the Pope’s hands, while it is not clear what “the moral unanimity is” (presenting the document, Cardinal Baldisseri said that it certainly represents “more than 50 percent,” thus giving a definition of a majority, not of unanimity). The Pope is called to be a guarantor, one who could convoke Synods according to different procedures – though they are foreseen only for “reasons of ecumenical nature” – while the Synod’s General Secretariat seems to have the real power to lead the discussion. It is yet to be seen how the final message will be drafted, who will be in charge of it, and how the message will be presented to the Holy Father. However, until now there is suspicion that a little coup took place, in order to lead the discussion where it was not naturally going. This is just a suspicion. Pope Francis will likely make the decision to issue a document. De facto, the so called collegiality is until now limited to the request for bishops to listen to the People of God. Almost, this way, taking away from the bishops the power to teach the truth, on the basis of the notion that, when the people of God firmly believes in one thing, this cannot be wrong. If all the notions can be considered more or less correct from a formal point of view, the Synod reform however appears as a further centralization and a coup to force the discussion in a particular direction. Now, Bishops elected by Bishops’ conferences are called to be strong, and to elaborate issues their way. We will see how the Synod’s checks and balances system work. In the end, this further centralization is food for thought. It must not be underestimated.